The iconic Eva Solo insulated jug has made a comeback here in a more sophisticated brushed-steel version. 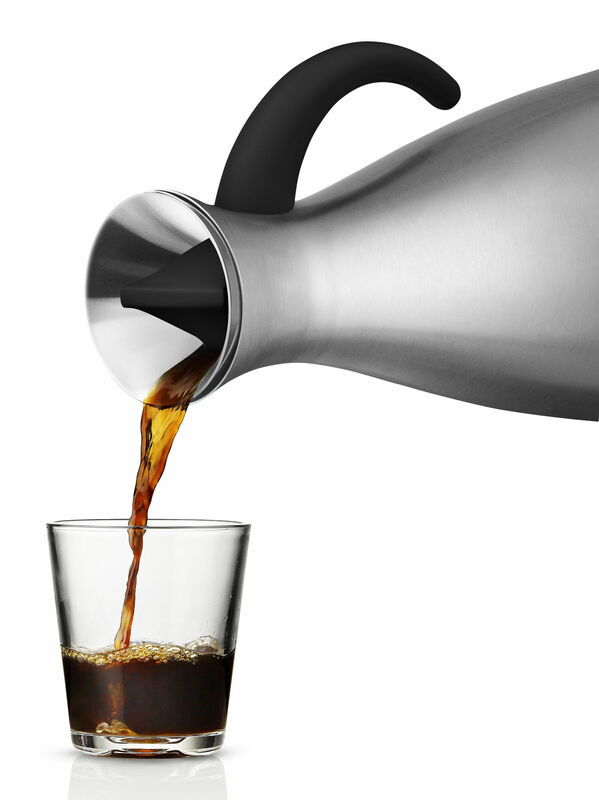 Whether off to the office, on holiday, or enjoying a little quiet at home, don’t worry – this formidable-looking insulated jug will always keep your drink at just the right temperature! For example, it would take 12 hours for a hot drink to lose 20 °C, so you can prepare your tea or coffee before you go to bed and it will still be hot in the morning to go to work! 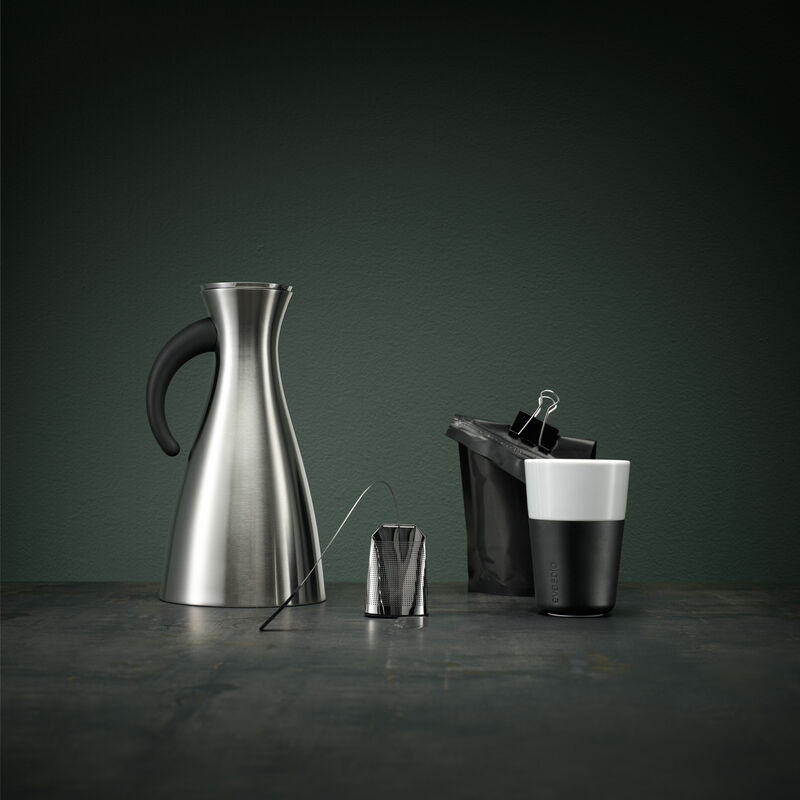 And like all the other products in the range, Eva Solo has kept your needs in mind: no more marks on the table thanks to an ingenious anti-drip pouring spout. 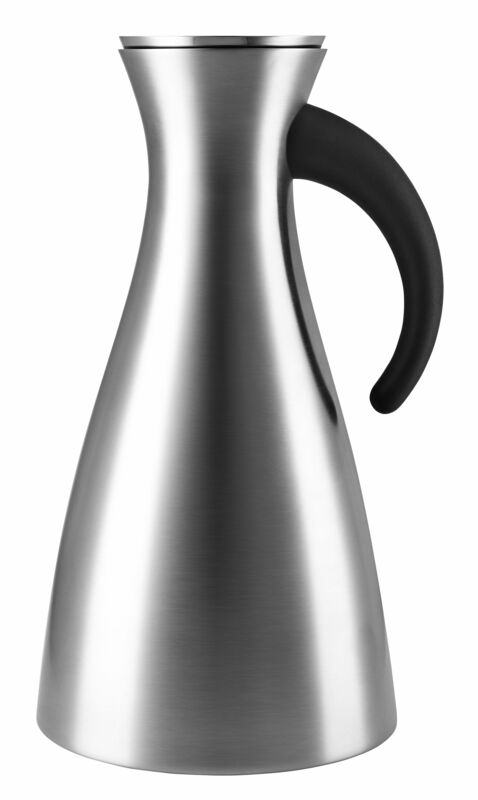 Since its creation in 2000, the Solo insulated jug has won award after award.